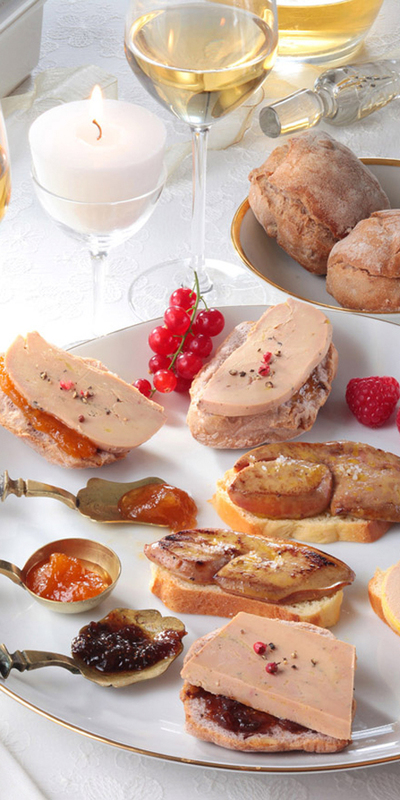 No need to wait for winter and the year-end festivities to eat foie gras. Enjoyment knows no season. 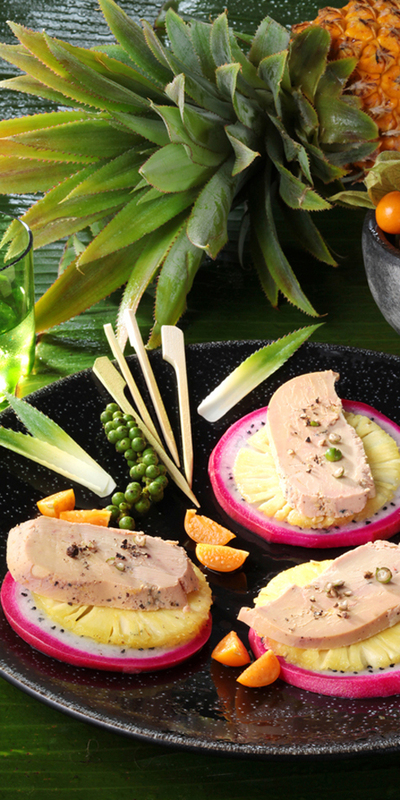 Gourmets are well aware that foie gras can be eaten all year round, including in the summertime. It can be eaten in verrines, as tapas, on gourmet bread and in sandwiches…some recipes are perfect for lunch under the shade of trees or as an appetizer on the terrace. 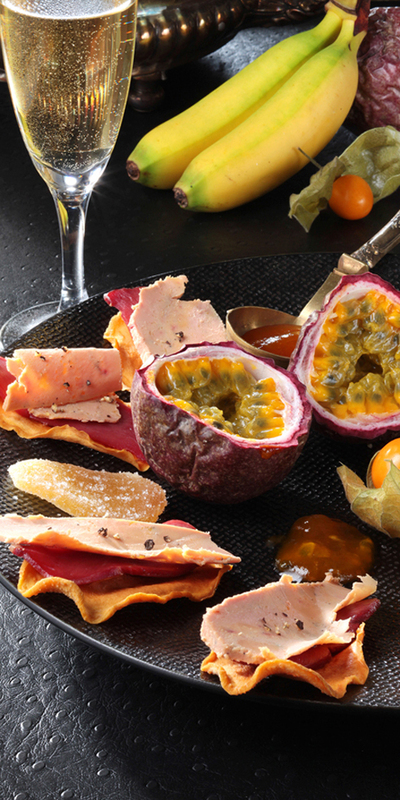 Foie gras goes perfectly with summer fruit (peaches and apricots) and exotic fruit (mango and pineapple). It can also create tasty combinations with Mediterranean vegetables (aubergine and peppers) and salads (lettuce and rocket). Summer fruits and vegetables are excellent sources of vitamins and antioxidants. However, did you know that foie gras contains mostly good fats – poly and monounsaturated fatty acids - which are beneficial for preventing cardiovascular disease? It also provides iron, vitamin A and vitamin B9 (folic acid). [See the REGAL composition table, 1995]. 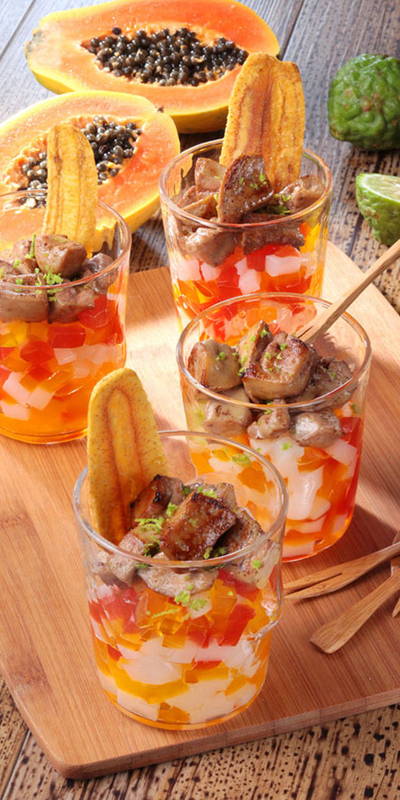 Serve foie gras at the beginning of a meal or as an appetizer when your taste buds are at their sharpest. If you put your foie gras in the refrigerator, take it out a quarter of an hour before eating. Be careful not to leave it out in the heat too long, because it’s a very delicate product.